Regularly clean gutters and downspouts. Make sure all drainage areas are unblocked by leaves and debris. Consider installing gutter guards to make the job a lot easier. 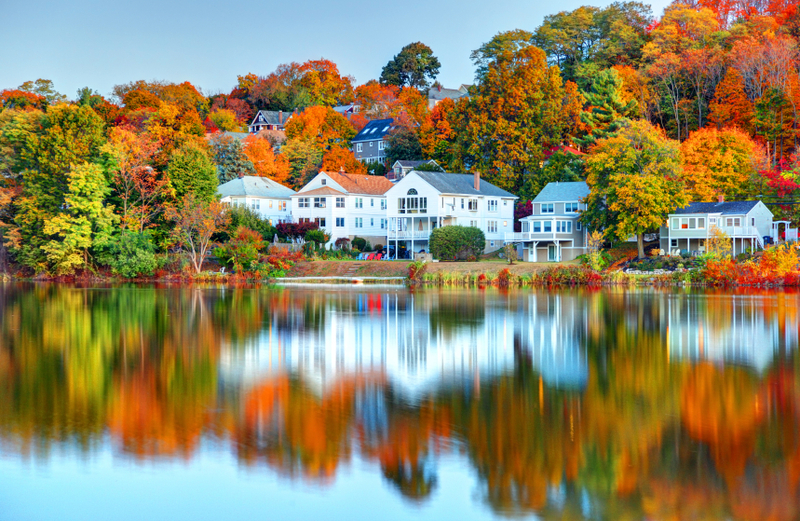 Lower humidity and cooler (not yet cold) temperatures make fall a good time to paint the exterior of your home. Inspect your roof, or hire a licensed professional to examine your roof for wear and tear. If the shingles are curling, buckling or crackling, replace them. Check the flashing around skylights, pipes and chimneys. If you have any leaks or gaps, heavy snow and ice will find its way in. To prevent exterior water pipes from bursting when the weather gets below freezing, turn off the valves to the exterior hose bibs. Run the water until the pipes are empty. Make sure all the water is drained from the pipes, if not; the water can freeze up and damage the pipes. Have your wood-burning fireplace inspected, cleaned and repaired to prevent chimney fires and carbon monoxide poisoning. Wrap water pipes that run along exterior walls with heating tape. It will save energy and prevent them from freezing. Clean and replace filters in your furnace or heating system. Contact a licensed heating contractor to inspect and service your gas heater or furnace to avoid carbon monoxide poisoning. If you use a hot water system for heating, drain the expansion tank, check the water pressure, and bleed your radiators. Check the attic to make sure the insulation is installed properly. The vapor barrier on insulation should face down toward the living space. If it is installed incorrectly (with the vapor barrier facing up) then the insulation will trap moisture causing possible water problems. Cut slits in the vapor barrier to allow moisture to escape.